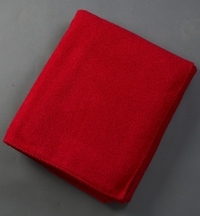 We are Proud to offer the John Atkinson line of Fine English Woolen Blankets. The wool industry has it's roots in England and John Atkinson is the finest mill Producing woolen products today. 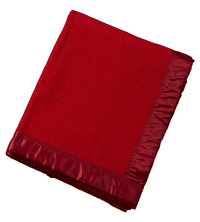 In business since 1828, John Atkinson has the Royal Warrant to produce blankets for the Queen of England. 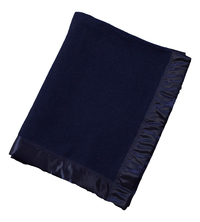 They source fine Merino and Cashmere wools from around the world acquiring only the best they can find. 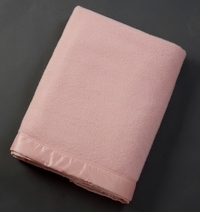 They offer their Trademark Satin binding in the Traditional manner, Silk on the Cashmere blankets, or a matching whipstitch on the Siesta Merino. Wool is natures performance fiber. 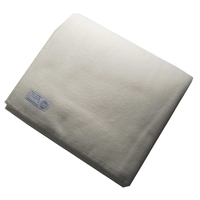 The Merino is Soft and fine and unlike synthetics, has the unique ability to breathe which makes the humidity and temperature ideal for sleeping. John Atkinson makes a variety of weights so you may adjust your layers/weights by the season. Wool is environmentally friendly as it is a completely renewable resource. As the animals are an irreplacable part of the production, they come to no harm in the shearing and the processes used in the manufacture are Environmentally Friendly. 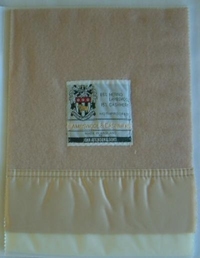 Your John Atkinson Blankets is an heirloom that you can pass on if cared for according to the instructions. As the British Pound has declined considerably since Brexit, we have been able to reduce the prices on these blankets considerably. Not sure how long this will last so take advantage of it NOW. 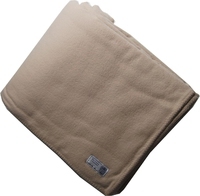 Gerbrend Creations is proud to be the Exclusive Importer of John Atkinson Blankets. 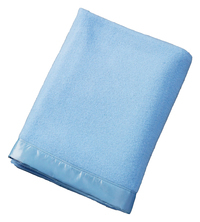 We guarantee you will be satisfied with your blanket purchase, please see our refund/return policy. If you would like swatches, please order them here. There is a $5.00 charge for swatches which is credited towards your purchase making the swatches FREE with purchase. Our Best Selling John Atkinson Blanket. 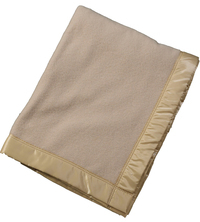 This one is the Gold Standard of Woolen Blankets. The Perfect Winter Weight 100% Pure Merino Wool. 400 grams per square meter. Available in White, Champagne, Alaskan Blue, Powder Pink, Camel, Navy, and Cherry. 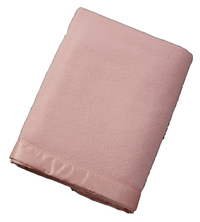 They come with a wide satin binding, packed in a quality vinyl storage case. Generously Sized for Today's Thicker Mattresses. White is in stock, colors please allow approximately 2-3 weeks for delivery. White is in stock, colors please allow 2-3 weeks for delivery. 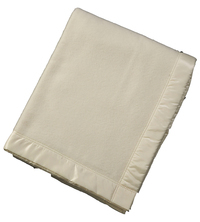 For those who prefer a Whip Wtitched binding to the Satin binding, we offer Siesta. 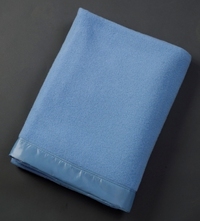 The same 100% Merino Wool blanket as Duchess but with whip stitched edges. 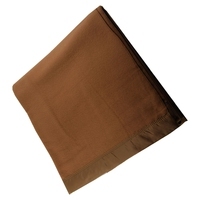 A luxurious 380 grams per square meter weight. Normally made with the Whip Stitch in Matching Color wool, it can be special ordered in any of the Siesta colorsby calling in your special order to 1-800-634-2659. Whites are normally in stock, colors please allow 2-3 weeks delivery. Siesta Almond with matching Whip Stitch Binding. White is in stock, please allow approximately 2-3 weeks delivery for colors. Siesta Caramel with Whip Stitch Binding. White is normally in stock, please allow 2-3 weeks for delivery on colors. Siesta Alaskan Blue with matching Whip Stitch Binding. White is in stock, please allow approximately 2-3 weeks delivery for colors. 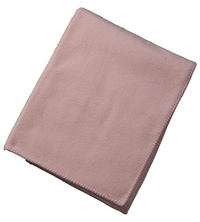 Siesta Powder Pink with matching Whip Stitch Binding. White is in stock, please allow approximately 2-3 weeks delivery for colors. 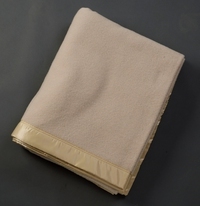 Cashmere de Luxe Champagne available in Silk or Satin Binding. 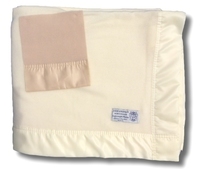 White with Silk is normally in stock, please allow 2-3 weeks delivery for all others. 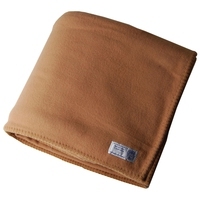 The Northstar line of blankets and throws are 100% Pure Wool made in England. They are our introductory price point as they are not Merino wool. They are a nice weight, 360 grams per square meter and come in 4 colors. They are available either satin bound in self or contrasting colors or whip stitch bound. Presented in a quality vinyl storage case. 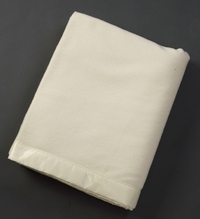 In Stock in Satin Binding, Please Allow 2-3 Weeks for Whip Stitched hem, Thank You. 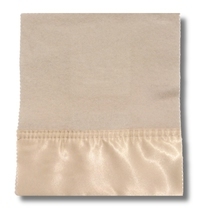 Satin Bound is normally in stock, please allow approximately 2-3 weeks for whip Stitched hem, Thank You. Navy is Available Whip Stitched Only in the quality. Please allow 2-3 Weeks for Delivery, Thank You. Cherry is Available only Whip Stitched in this quality, please allow 2-3 weeks for Delivery, Thank You. 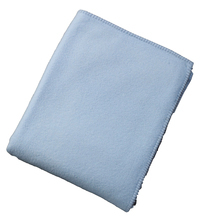 A soft lightweight blend with the special feel of Cashmere- 15% Cashmere and 85% Lambswool, bound on all sides with satin. A warm yet light weight 215 grams per square meter weight. Available in Champagne and White. 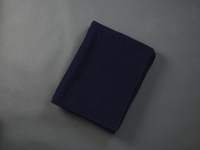 A Soft and Elegant lightweight merino wool. Ideal for use in summer and warmer climates. 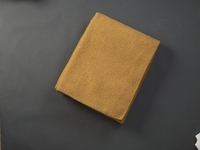 They are available in Wool White or Champagne and come with a satin binding. 230 grams per square meter summer weight. White normally in stock, please allow approximately 2-3 weeks delivery for Champagne. Made in England.